.The African Union Assembly of Heads of State and Government adopted the configuration of the Specialised Technical Committees and the modalities of their operationalization through Decisions: Assembly/AU/Dec.227 (XII) and Assembly/AU/Dec.365 (XVII) in January 2009 and July 2011, respectively as Organs of the Union in accordance with Article 5 (1) (g) of the Constitutive Act. Among the Specialized Technical Committees recommended for establishment is the Specialized Technical Committee on Agriculture, Rural Development, Water and Environment (ARDWE). It includes Ministers and/or Senior Officials who cover the following sectors:- Agriculture, Fisheries and Livestock, Rural Development, Water, Environment, Climate Change and Meteorology, Disaster Risk Reduction, Forestry and Wildlife. They are responsible for preparing projects and programmes of the Union and submitting them to the Executive Council. They also have the duty to ensure the supervision, follow-up and evaluation of the implementation of decisions taken by the organs of the Union and the coordination and harmonization of projects and programmes of the Union. The STC is also expected to carry out any other functions assigned to it for the purpose of ensuring the implementation of the provisions of relevant AU Acts. The STCs are expected to meet at least once every two years in order to discharge the responsibilities entrusted with them by the AU Assembly. Following the inaugural meeting of the Specialized Technical Committee on Agriculture, Rural Development, Water and Environment held from 5-9 October 2015, the Department of Rural Economy and Agriculture has scheduled to convene the second meeting of the Committee from 2-6 October 2017 at the AU Headquarters in Addis Ababa, Ethiopia. The meeting will bring together ministers, senior officials and experts from the Agriculture, Rural Development, Water and Environment ministries. They will use the opportunity to deliberate on key documents and issues emerging in Africa pertaining to environmental sustainability and sustainable transformation of agriculture in order to achieve food security, improved nutrition, and rural development. During the meeting AU SAFGRAD will make two presentations. The first one will be on Agricultural Value Chains and the second one on Envrionmental issues. On 24 July 2017 was held in Nairobi, Kenya a meeting of STCs back to back with the preparatory meeting of COP13. The session was opened by AU SAFGRAD with UNCCD Secretariat and the Republic of Kenya as the host country. Dr Ahmed ELMEKASS, Coordinator, and Mamadou KOUTOU, Programme Officer represented the Office. The gathering was chaired by Prof. Klaus Kellener from South Africa. Attended the meeting African STCs, NFPs, AUC, NPCA, UNCCD Secretariat, UNDP, FAO, Africa Forest Forum in addition to the national institutions from the the hosting country (Kenya). During the session, it has been notably hightlighted a poor/weak participation and contribution of African STCs to the CST of the UNCCD unlike representatives from other regions. Both UNCCD and the host country (Kenya) appreciated the AU SAFGRAD initiative to bring the African STCs together as well as giving them the opportunity to participate in the preparatory meeting of COP13. The UNCCD Secretariat presentation highlighted the outputs of the SPI work programme 2016/2017 while AU SAFGRAD focused notably on the proposed criteria for the Centers of Excellency, various studies carried out by the office related to combating desertification, etc. Several recommendations were made during the session. The recommendations concerned both regular STC meetings, LDN and Centres of Excellence. At the invitation of the Korean Embassy in Addis Ababa, through the Partnership Management Division, AU-SAFGRAD represented AUC at the 4th Korea-Africa Food and Agriculture Cooperation Initiative (KAFACI) which was held at the King Fadh Hotel, Dakar, Senegal July 10-13, 2017. Dr Mure AGBONLAHOR, Production and Marketing Officer & Mr Mamoudou KOUTOU, Programme Officer represented AU SAFGRAD at this important gathering. KAFACI is an African-focused food and agriculture development platform under the Rural Development Administration (RDA) of the republic of South Korea. It was officially inaugurated in Seoul, South Korea, in 2010 with government representatives from 17 Africa Member States. As at 2017, the membership has grown to 21 countries with Tanzania as the most recent member. The objective of KAFACI is to promote sustainable agricultural development through technology cooperation in the agro-food sector. KAFACI projects are national projects that cut across the entire commodity (arable and horticultural crops as well as poultry) value chains including breeding, training, mechanization and input support, on-farm technology applications, value addition and post-harvest loss reduction. KAFACI project uses country-level focal persons from the public agricultural sector with national consultants. 1. Present KAFACI country outstanding projects and relate implementation constraints to success factors in other to promote knowledge sharing. The 4-day meeting was marked with presentations of projects and success stories from the 20 MS, the General Assembly meeting and a ceremony to commemorate the official handing-over of a Rice breeding Laboratory donated by RDA of Korea to AfricaRice Center in St Louis, Senegal. During the Partners meeting, day-one, AU-SAFGARD made a brief presentation on AU’ continental flagship programmes for agricultural transformation for promoting shared prosperity in the Continent. Ouagadougou, Burkina Faso - 16 June 2017. Every year the World Day to Combat Desertification (WDCD) is observed to promote public awareness of international efforts to combat desertification. This year 2017, Ouagadougou, the Capital city of Burkina Faso hosted the UNCCD celebrations. 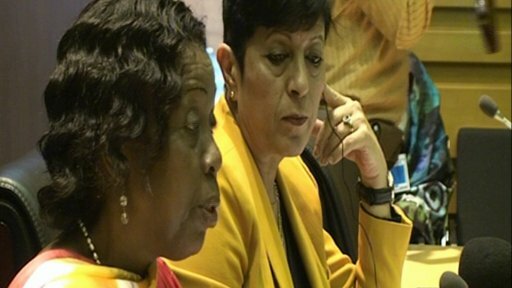 AU SAFGRAD actively participated in the events to represent African Union Commission. High level participants at the 2017 WDCD. Head of States, Executive Secretary of UNCCD and AU SAFGRAD Coordinator, among others. The WDCD is celebrated each year on 17th June, but the 2017 edition was organized from 14th to 16th of June. Various important activities were scheduled. Very important personalities which include Heads of States from ECOWAS (HE Mr Ibrahim Boubacar Keita of Mali, HE Mr Mahamadou Issoufou of Niger, and and the host HE. Mr Roch March Christian Kabore of Burkina Faso) were present in the event. Mrs Monique Barbut, Executive Secretary of the UNCCD and several leaders of national, regional and international institutions with interest in desertification and related issues also graced the occasion. The 2017 event addressed the 3 S initiative (Stability, Security and Sustainability) and the central theme was “Our land, our home, our future”. AU SAFGRAD, African Union specialized technical office for research and development in semi-arid zones of Africa, actively participated to the event. First of all, during the opening ceremony (15th June), the Coordinator, Dr Ahmed ELMEKASS, while speaking on behalf of HE Mrs Josefa Leonel Correia Sacko, Commissioner for Rural Economy and Agriculture of the African Union Commission, highlighted the role of African Union in combatting desertification notably through resolutions and decisions taken by AU Head of States and Government. Furthermore, the office took the opportunity of this unique event in Ouagadougou to organize a high level meeting of a policy dialogue gathering numerous stakeholders. This conference occurred on the morning of June 15th with a strong participation of national and international organizations. Besides the meeting, an exhibition fair grouping several institutions including AU SAFGRAD, was held at Ouagadougou international conference center, offering a communication platform for participants and guests. 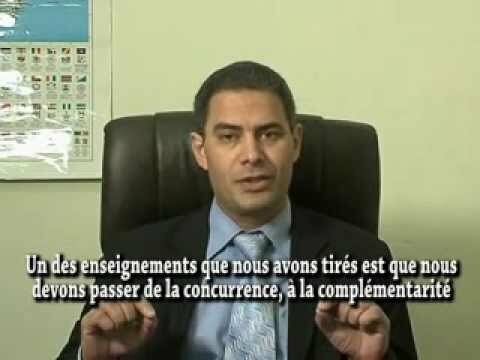 Prior to that day, a full-page article written by the AU SAFGRAD head of office was released in l’Observateur Paalga, one of the most important daily newspapers in the country and beyond. The same day, in front of the Heads of states, HE President KABORE and his important guest peers from Niger and Mali, a Declaration was read as the conclusion of the ministerial meeting organized within the framework of the 2017 WDCD. The so-called Ouagadougou Declaration appealed for a better political commitment of international community to address land degradation, desertification, drought, climate change and their consequences such as food insecurity, migration, conflicts, displaced people, etc. This historical Declaration is targeting by 2020, among other, two main objectives namely the rehabilitation of 10 million ha of degraded lands and the creation of two million jobs related to sustainable land use for youth, women and migrants. With regards to the importance of the Ouagadougou Declaration, AU SAFGRAD, with a dozen of key partners, notably UNCCD, EU, NEPAD, FAO, IRD, SOS SAHEL, OIF, CILSS, CORAF/WECARD and WETLANDS International, organized a technical workshop on the 16th of June. The experts’ gathering aimed at clarifying the way forward to operationalize the declaration adopted by ministers in charge of Environment during the 2017 WDCD edition in Ouagadougou. View of the Conference room during the partners meeting on 16th June following the Ouagadougou declaration. Undoubtedly, the 2017 WDCD held in African land, in Burkina Faso, is appearing, according to experts, as a historical turning point in the UNCCD celebrations process. The role of AUC, through notably AU SAFGRAD, was in all points of view unquestionable from the beginning to the end. There is henceforth hope that the objective of collectively combating for achieving Land Degradation Neutrality (LDN), mainly in Africa, is definitely on track. AU SAFGRAD is celebrating the international day to combat desertification which is taking place this year 2017 in Ouagadougou, Burkina Faso. The celebrations are starting this June 15th at the Ouagadougou International Conference Center with the presence of H.E Rock Marc Christian KABORE, President of Burkina Faso, H.E. Ibrahim Boubacar KEITA, President of Mali, UNCCD Head and many relevant national, regional and international institutions. On June 16th, AU SAFGRAD will co-organize a high level technical partners’ meeting on desertification and land degradation. The co-organizers include NEPAD, UNCCD, IRD, BURKINA FASO government, SCAC EU. An exhibition stand by AU SAFGRAD is opened at the Conference Center to display the Office activities on desertification and related issues. It is with honour and utmost humility that I stand before you dear African Compatriots to pay tribute to our Founding Fathers, to bow to their unwavering commitment to an upright, free, united, interdependent and fraternal Africa. On this day of 25 May 2017, we celebrate the anniversary of the liberation of our Continent from the yoke of colonialism and the unity that our Founding Fathers so dreamt about and fought for. The establishment of our Organization, on this day, 25 May in 1963, in Addis Ababa, marked a pivotal turning point in the history of our Continent. Africa Day is also an opportunity for us to celebrate the significant progress made by the Continent since the inception of the OAU fifty four years ago and the transformation to the African Union we are today. Notable among them is the improvements in peace and stability, democratic governance, human development, the promotion and protection of human rights, the quest for accelerated regional and continental integration through the execution of the Regional and Continental projects, the establishment of gender parity in national and continental institutions, the reduction of infant and maternal mortality are so many other tangible peace dividends of which Africa may rightly feel proud. Notwithstanding this progress, Africa continues to face many challenges, including mainly population growth control, protection of the environment and climate change, migration, youth unemployment, terrorism, radicalization, various forms of trafficking, deficit of political and democratic governance, in brief, peace and security. After 54 years, the building of the unity of the African peoples is still a major task while the challenges, which Africans must take up collectively, keep increasing. With an average growth rate of 5% over the last 15 years, with six countries among the top 10 in the world's most dynamic economies, it is clear that Africa is one of the regions of the world where growth is definitely fastest but where challenges remain in reaping the full benefits of its all its human and natural resources. It was, therefore, in response to these immense challenges that, at the 24th Ordinary Session of the Assembly of the African Union, held in Addis Ababa, Ethiopia, in January 2015, the African Heads of State and Government adopted Agenda 2063, establishing the most significant structural transformation programme for Continent for the next 50 years. This ambitious programme is a challenge for all Africans and especially their leaders. The implementation of this programme will be carried out in several gradual steps, as provided for in the First Ten-Year Implementation Plan 2014-2023. In this sense, a number of priority flagship projects are being executed to hasten shared prosperity, namely: the liberalisation of the African airspace, the Continental Free Trade Area, the African Raw Materials Strategy, the African Passport and the free movement of persons and goods, the Pan-African University, and the end of conflicts by silencing the guns by 2020. The goal of shared prosperity for all of all African citizens underpins Agenda 2063, and gives African women and youths a prominent place with calls upon the continent to promote gender equality through the empowerment of women and young people in all spheres of life. Our Heads of State and Government moved quickly to ensure that Agenda 2063 is translated into concrete actions. It is this commitment that led them to adopt the historic decision of the Kigali Summit of July 2016, reaffirming their full resolve to establish an effective mechanism to finance this ambitious vision. The speedy and strict implementation of this decision is not only a response to the urgent need for financing, but it is also a matter of the credibility and assertion of the African leadership. It is also in the same spirit that in January 2017, the Heads of State and Government adopted a reform package based on the recommendations contained in the Report of President Kagame. The implementation of these reforms will make it possible to give a new life to the Organization. This process of consolidating our financial sovereignty is timely, important and necessary. And as it in this spirit that we acknowledge the much appreciated contribution of our international partners who, in a spirit of solidarity and shared prosperity, have always supported us. We must also continue to promote synergy and complementarity between the UN Sustainable Development Goals of the 2030 Agenda and our homegrown Agenda 2063. The signing, on 19 April 2017, of a Joint UN-AU Framework for Enhancing Partnership in Peace and Security is in line with this logic. By referring to the need for a strengthened partnership for peace and security, which is one of the priorities of my mandate, I will also frankly admit my heartbreak in the face of the atrocious tragedies that plague South Sudan, Somalia, Central African Republic, the Lake Chad Basin and the Sahel? Of all these humanitarian crises, the tragedy of South Sudan is the most unbearable. The proliferation of crimes committed by all parties and the deliberately inflicted and unspeakable suffering of civilians, over 60 per cent of whom are in need of humanitarian assistance, more than 2 million are internally displaced, more than 1 million are refugees, the ongoing famine ... this cannot continue. Yes, the denial of our humanity in this country is a shame to the honour and dignity of the African man, woman and child. A few days after taking office, I personally witnessed the unbearable magnitude of this tragedy. I urge the parties to stop these massive crimes and, without delay, to establish an inclusive dialogue, to re-determine a peaceful destiny for their people. For this this the leaders can count on our readiness to assist with all our strength and resolve. But first, the violence and the suffering must stop. The African population reached, in this May 2017, more than 1.2 billion inhabitants, or just under 17% of the world population with an average age of 19.5 years. This makes Africa the second most populous continent in the world after Asia and also the continent with the youngest economically active population. It is, therefore, important to transform this huge human energy into a dynamic and creative development tool. To do this, this year’s theme of the African Union is “Harnessing the demographic dividend through investment in youth''. Investing in youths in Africa depends on a significant effort of crosscutting mobilization, supported by sustained economic growth, job creation through all-out entrepreneurship, investment in education, improved social services, including universal healthcare coverage. Investing in African youth also implies the promotion of culture, our positive values and sports. In this regard, one of our African heroes, President Nelson Mandela, said: "Sports has the power to change the world. It has the power to inspire, it has the power to unite peoples which is unique. It speaks the language of youth. Sports can rekindle and generate lost hope". The African Union, recognizing sports and physical activity as effective tools for achieving social and economic integration, makes significant use of them to take up health, conflict prevention and post-conflict reconstruction challenges. It is in this context that the celebration of this Day will be marked by sports competitions. Africa no longer accepts the marginalization of our Continent. We all, - political leaders, civil society, the private sector, ordinary citizens, the diaspora ...have the moral obligation to fight against this marginalization of Africa. I call upon you, Brothers and Sisters, from the bottom of my heart, to pool our efforts, to multiply the chances of a successful integration of our Mother Africa. In this regard, I am pleased to welcome once again the return of Morocco to the African Union on 30 January 2017, after 33 years of absence. As His Majesty King Mohammed VI proclaimed, this is an opportunity to bring together the whole continent in an effort to cement the cohesion of all the African peoples. Based on the determination of all our 55 Member States, our Continental Organization will carry out the resolute reform of its functioning and will take up all the challenges of political and socioeconomic development that are hampering the march of the continent towards the realization of the vision: an integrated, peaceful, prosperous Africa. The Commission of the African Union, which I have the honour and privilege to head, will play its full part, in close cooperation with all the Member States, in this collective effort for a free, sovereign and independent Africa in its choices, an Africa that offers to its sons and daughters pride, dignity, happiness and prosperity. Happy Africa Day to all and May God bless Africa. 1 MESSAGE OF THE CHAIRPERSON OF THE AFRICAN UNION COMMISSION H.E. MR. MOUSSA FAKI MAHAMAT ON THE OCCASION OF THE 54TH AFRICA DAY ADDIS ABABA, 25 MAY 2017 2 Dear Fellow Africans, It is with honour and utmost humility that I stand before you dear African Compatriots to pay tribute to our Founding Fathers, to bow to their unwavering commitment to an upright, free, united, interdependent and fraternal Africa. On this day of 25 May 2017, we celebrate the anniversary of the liberation of our Continent from the yoke of colonialism and the unity that our Founding Fathers so dreamt about and fought for. The establishment of our Organization, on this day, 25 May in 1963, in Addis Ababa, marked a pivotal turning point in the history of our Continent. Africa Day is also an opportunity for us to celebrate the significant progress made by the Continent since the inception of the OAU fifty four years ago and the transformation to the African Union we are today. Notable among them is the improvements in peace and stability, democratic governance, human development, the promotion and protection of human rights, the quest for accelerated regional and continental integration through the execution of the Regional and Continental projects, the establishment of gender parity in national and continental institutions, the reduction of infant and maternal mortality are so many other tangible peace dividends of which Africa may rightly feel proud. Notwithstanding this progress, Africa continues to face many challenges, including mainly population growth control, protection of the environment and climate change, migration, youth unemployment, terrorism, radicalization, various forms of trafficking, deficit of political and democratic governance, in brief, peace and security. After 54 years, the building of the unity of the African peoples is still a major task while the challenges, which Africans must take up collectively, keep increasing. With an average growth rate of 5% over the last 15 years, with six countries among the top 10 in the world's most dynamic economies, it is clear that Africa is one of the regions of the world where growth is definitely fastest but where challenges remain in reaping the full benefits of its all its human and natural resources. It was, therefore, in response to these immense challenges that, at the 24th Ordinary Session of the Assembly of the African Union, held in Addis Ababa, Ethiopia, in January 2015, the African Heads of State and Government adopted Agenda 2063, establishing the most significant structural transformation programme for Continent for the next 50 years. This ambitious programme is a challenge for all Africans and especially their leaders. The implementation of this programme will be carried out in several gradual steps, as provided for in the First Ten-Year Implementation Plan 2014-2023. In this sense, a number of priority flagship projects are being executed to hasten shared prosperity, namely: the liberalisation of the African airspace, the Continental Free Trade Area, the African Raw Materials Strategy, the African Passport and the free movement of persons and goods, the Pan-African University, and the end of conflicts by silencing the guns by 2020. 3 The goal of shared prosperity for all of all African citizens underpins Agenda 2063, and gives African women and youths a prominent place with calls upon the continent to promote gender equality through the empowerment of women and young people in all spheres of life. Our Heads of State and Government moved quickly to ensure that Agenda 2063 is translated into concrete actions. It is this commitment that led them to adopt the historic decision of the Kigali Summit of July 2016, reaffirming their full resolve to establish an effective mechanism to finance this ambitious vision. The speedy and strict implementation of this decision is not only a response to the urgent need for financing, but it is also a matter of the credibility and assertion of the African leadership. It is also in the same spirit that in January 2017, the Heads of State and Government adopted a reform package based on the recommendations contained in the Report of President Kagame. The implementation of these reforms will make it possible to give a new life to the Organization. This process of consolidating our financial sovereignty is timely, important and necessary. And as it in this spirit that we acknowledge the much appreciated contribution of our international partners who, in a spirit of solidarity and shared prosperity, have always supported us. We must also continue to promote synergy and complementarity between the UN Sustainable Development Goals of the 2030 Agenda and our homegrown Agenda 2063. The signing, on 19 April 2017, of a Joint UN-AU Framework for Enhancing Partnership in Peace and Security is in line with this logic. By referring to the need for a strengthened partnership for peace and security, which is one of the priorities of my mandate, I will also frankly admit my heartbreak in the face of the atrocious tragedies that plague South Sudan, Somalia, Central African Republic, the Lake Chad Basin and the Sahel? Of all these humanitarian crises, the tragedy of South Sudan is the most unbearable. The proliferation of crimes committed by all parties and the deliberately inflicted and unspeakable suffering of civilians, over 60 per cent of whom are in need of humanitarian assistance, more than 2 million are internally displaced, more than 1 million are refugees, the ongoing famine ... this cannot continue. Yes, the denial of our humanity in this country is a shame to the honour and dignity of the African man, woman and child. A few days after taking office, I personally witnessed the unbearable magnitude of this tragedy. I urge the parties to stop these massive crimes and, without delay, to establish an inclusive dialogue, to re-determine a peaceful destiny for their people. For this this the leaders can count on our readiness to assist with all our strength and resolve. But first, the violence and the suffering must stop. Dear Fellow Africans, The African population reached, in this May 2017, more than 1.2 billion inhabitants, or just under 17% of the world population with an average age of 19.5 years. This makes Africa the second most populous continent in the world after Asia and also the continent with the youngest 4 economically active population. It is, therefore, important to transform this huge human energy into a dynamic and creative development tool. To do this, this year’s theme of the African Union is “Harnessing the demographic dividend through investment in youth''. Investing in youths in Africa depends on a significant effort of crosscutting mobilization, supported by sustained economic growth, job creation through all-out entrepreneurship, investment in education, improved social services, including universal healthcare coverage. Investing in African youth also implies the promotion of culture, our positive values and sports. In this regard, one of our African heroes, President Nelson Mandela, said: "Sports has the power to change the world. It has the power to inspire, it has the power to unite peoples which is unique. It speaks the language of youth. Sports can rekindle and generate lost hope". The African Union, recognizing sports and physical activity as effective tools for achieving social and economic integration, makes significant use of them to take up health, conflict prevention and post-conflict reconstruction challenges. It is in this context that the celebration of this Day will be marked by sports competitions. Dear Fellow Africans, Africa no longer accepts the marginalization of our Continent. We all, - political leaders, civil society, the private sector, ordinary citizens, the diaspora ...have the moral obligation to fight against this marginalization of Africa. I call upon you, Brothers and Sisters, from the bottom of my heart, to pool our efforts, to multiply the chances of a successful integration of our Mother Africa. In this regard, I am pleased to welcome once again the return of Morocco to the African Union on 30 January 2017, after 33 years of absence. As His Majesty King Mohammed VI proclaimed, this is an opportunity to bring together the whole continent in an effort to cement the cohesion of all the African peoples. Based on the determination of all our 55 Member States, our Continental Organization will carry out the resolute reform of its functioning and will take up all the challenges of political and socioeconomic development that are hampering the march of the continent towards the realization of the vision: an integrated, peaceful, prosperous Africa. The Commission of the African Union, which I have the honour and privilege to head, will play its 5 full part, in close cooperation with all the Member States, in this collective effort for a free, sovereign and independent Africa in its choices, an Africa that offers to its sons and daughters pride, dignity, happiness and prosperity. Happy Africa Day to all and May God bless Africa. MARCH 8th. HAPPY INTERNATIONAL WOMEN'S DAY!